Anterior neck surgery procedures spare the dorsal anatomy from muscular dissection and provide minimally invasive curative solutions for many diagnoses. Anterior approach spinal surgery has revolutionized the industry and really helps patients to enjoy faster recovery times, better postoperative outcomes and far less pain than traditional dorsal approach techniques. Anterior approach procedures are available to treat a variety of diagnoses and can be custom-tailored to each patient’s specific needs. When it comes to spinal operations, anterior methods of care are usually far superior in many criteria, but unfortunately are not universally applicable for every patient and every condition. There are still some spinal issues that require either purely dorsal approaches to care or a combination of anterior and dorsal approaches to be used simultaneously. This fascinating article explores the application of anterior anatomical approaches to cervical spinal surgery. We will detail the types of procedures that are available, as well as the conditions they are indicated for. Finally, we will examine the benefits and risks of anterior approach procedures, contrasted against traditional dorsal spinal operations. Right from the start, we must clarify the definition of anterior when it comes to spinal surgery. 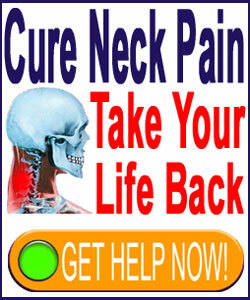 In virtually every case, the approaches used are placed on the side of the neck, rather than the direct front, which is a fact that can be confusing to some readers. The placement of the incision is not the only reason why these operations are considered to be anterior approaches. Instead, they are classified this way because they approach the interior spine from the frontal side, rather than the traditional approach on the dorsal surface of the vertebral bones. The neck is a small anatomical area that is filled with highly sensitive and vital tissues, including the throat, major arteries and veins and major nerves. This is why incision placement must be so carefully planned and executed, since these tissues must never be damaged during the surgical undertaking. Instead of muscular dissection, the tissues in front of the spine can merely be moved aside and restrained so that the surgeon can access the cervical spinal column directly from the anterior side. Procedural options for anterior neck surgery range greatly, including virtually all of the most popular techniques that might be used from a traditional dorsal approach. There are anterior discectomy techniques and anterior laminectomy procedures. There are anterior spinal fusion operations and a host of symptomatic nerve ablation procedures that can be performed using anterior incisions. In virtually all cases, any spinal surgery can be accomplished using an anterior approach, but some specific cases might require a dual approach using anterior and posterior surgical wounds. Cervical herniated discs can be treated using discectomy, IDET, nucleoplasty or even spinal fusion using anterior techniques. Degenerated discs can be replaced with artificial spinal discs using anterior techniques. Central spinal stenosis and foraminal stenosis can be resolved using laminectomy and foraminotomy procedures from the anterior approach. Spinal fusion and/or corpectomy can also be performed when indicated to re-stabilize a compromised spine. Spondylolisthesis, scoliosis, hyperlordosis and hyperkyphosis can all be treated using spinal fusion via the anterior approach to care. Various cryosurgery and nerve ablation techniques, like RFL, can be completed using anterior approaches. 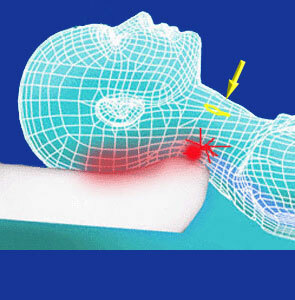 The benefits of anterior surgery on the neck are several and are very significant. First, no muscular dissection is needed to access the spine. This step is one of the most painful aspects of traditional dorsal spinal surgery and also the factor that increases recuperation time the most. The ability to skip muscular dissection will therefore cause less postoperative pain and allow the patient to regain full health and physical functionality quicker. Next, long-term pain outcomes are improved when compared to posterior procedures. This might be explainable due to the relatively high rate of ongoing pain problems that result from muscular dissection following dorsal surgery versus the lack of soft tissue damage following anterior approach identical procedures. The risks of anterior procedures are similar to dorsal operations. In fact, all the usual risk factors continue to apply and these are significant considerations, including the possibility to suffer spinal nerve or cord damage, spinal membrane rupture leading to CSF leaks, continued bleeding, infection or simply poor results. Anterior specific risks include potential trauma to the esophagus, vagus nerve, carotid artery, jugular vein, and thyroid gland. However, these occurrences are rare and are usually the hallmarks of careless and/or talentless surgeons.